July 2013 – Sue's Reviews. Hallie works in a shoe shop in Chelsea, London. Nick stops by with his mother on Valentine’s day. They have an instant rapport and Nick propositions Hallie to be his pretend wife for a week whilst he is on a business trip to Hong Kong. The last time Nick had dealt with this particular associate his daughter had tried to seduce him. Nick had not wanted to offend her or his business associate, so he had told the young woman he was married. Now he was about to embark on yet another business trip to John Tey’s house in Hong King and he needed a wife, pronto! Hallie captures the hearts of all who meet her, including Nick. He wants a nice smooth business transaction between himself and Hallie whilst he ties up the business arrangement with John Tey. What he hasn’t planned for is falling head over heels with his pretend wife. This was a thoroughly enjoyable book from start to finish. I love romantic novels and yes, even those very cliched romantic novels. 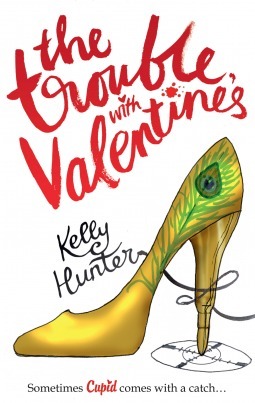 This book was full of fun and wit fro start to finish. The characters were believable, the plot was good and strong. I highly recommend this book for anyone who loves reading this genre. 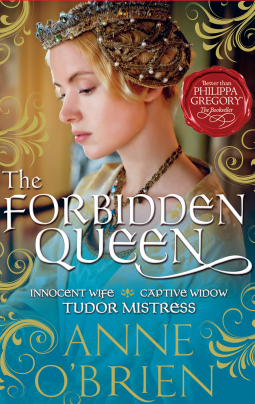 The Forbidden Queen is a story about Katherine of Valois. Katherine’s early life was pretty dismal, despite being the daughter of the King and queen of France. She grows up in a convent with her sister, Michelle, after their father loses his mind and their mother abandons them. Michelle, upon becoming of age, is married off to a nobleman and Katherine longs for her own Knight in shining armor to come and rescue her from the life she has had to endure at the convent. It seems all of her dreams have come true when her mother arrives one day to break the news to her that Henry V, King of England, wants to marry her. After a few negotiations Katherine is taken to meet Henry, whom she falls for immediately. After they marry Katherine believes he will fall in love with her when she is able to produce an heir for him. Their marriage is far from the romantic idyll Katherine had imagined it to be, instead Henry spends his time preoccupied with the war he is waging in France. She hopes things will improve between them when she learns she is pregnant, hopefully carrying the son Henry has longed for. Katherine soon learns that Henry married her so that he could lay claim to France, but she is determined to make the best of her marriage. Her plans don’t go quite to plan as Henry becomes ill and subsequently dies, before ever having the chance to meet his son. Katherine mourns the loss of her husband, sinking into a despair, mourning for the life they would never have, mourning for the love she would never have and mourning for the father her son would never know. Katherine is dragged from her despair by Edmund Beaufort, brother of one of her damsels. He cleverly pulls her from the depths of her despair, making her fall in love with him. Edmund eventually asks her to marry him, but makes her promise to keep the proposal a secret. But their is talk at court about what Edmund has planned and a close confidant of Katherine’s warns her that he is just using her to further his own interests. Katherine refuses to believe this, until she discovers that her brother-in-law has managed to pass a law that any man who marries her will lose all of his wealth and lands and status. Edmund Beaufort turns his back on Katherine, much to her dismay. After sliding into despair again she wonders if she is destined to be alone. A chance encounter with a member of her staff changes the course of her future. She embarks on an affair with her servant, Owen Tudor, and they eventually marry. But Katherine’s brother-in-law again interferes and they pair face a lengthy battle to win the right to live the life they choose.